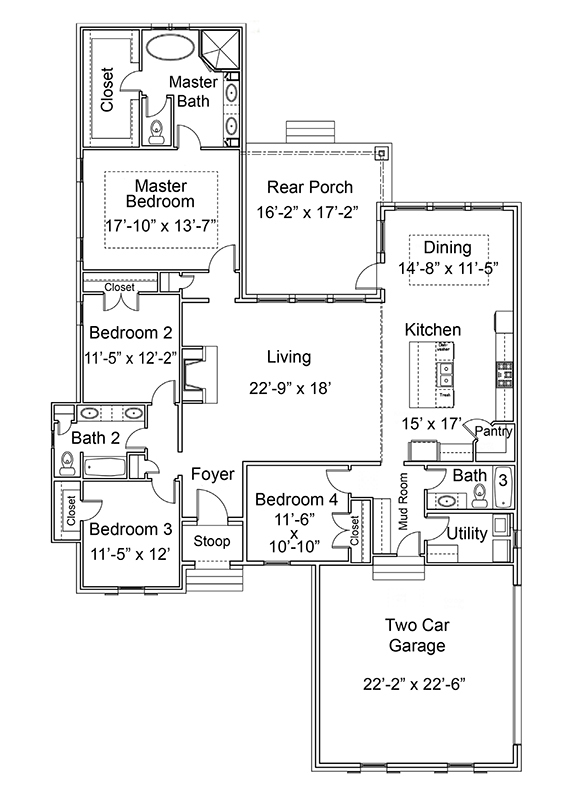 Fabulous floor plan highlighted with Old Chicago brick, gas light, and wood floors throughout. Coffered ceilings and cypress beams inside. Shiplap around the fireplace. Open living, dining, and kitchen area with marble countertops, stainless appliances, and a wine cooler. Reclaimed door on pantry. Private master has a walk-in closet and quartz countertops. 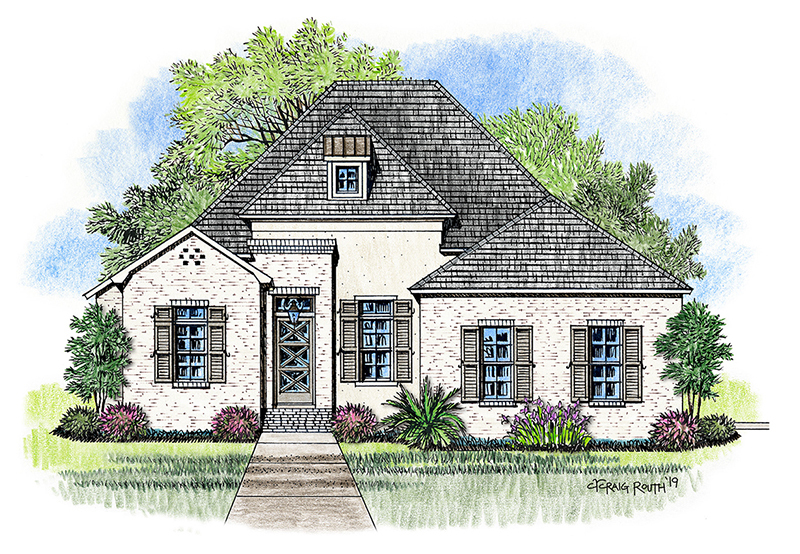 This new home for sale also features a mud room and a privsate covered back porch.Convenient location to the Central Business District of New Orleans – Only 9 miles. 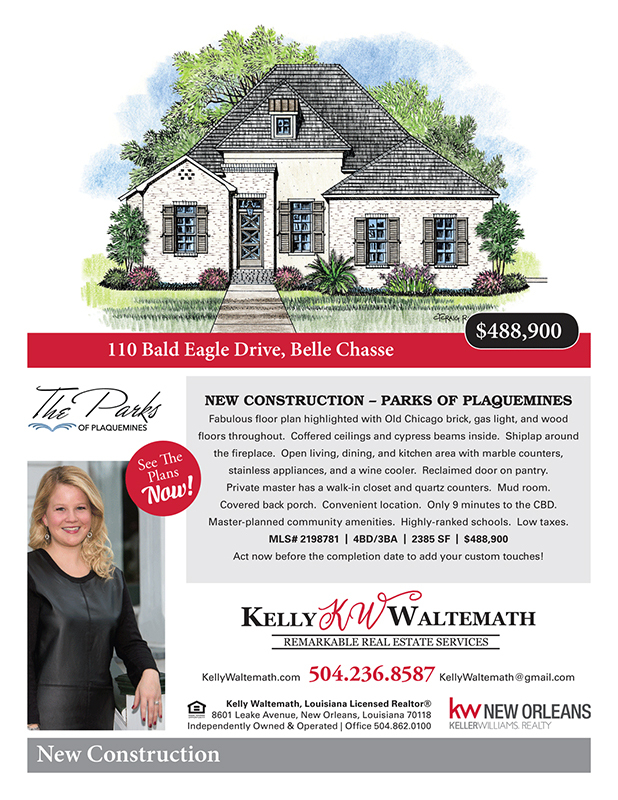 The Parks of Plaquemines is a master-planned community with amazing amenities, highly-ranked schools and low taxes. Act now before the completion date to add your custom touches!